Tensions between Russia and Ukraine have been rising in recent months, to levels not seen since Russia’s annexation of Crimea in 2014. 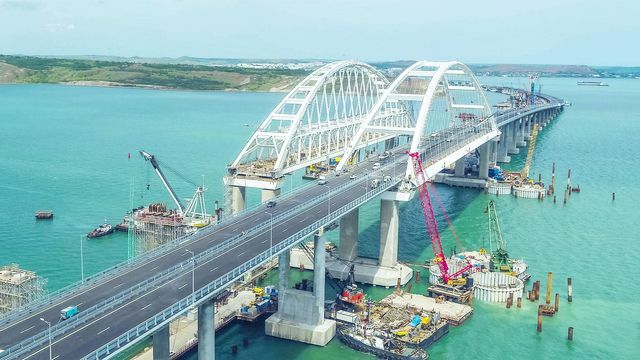 On 25 November, three Ukrainian patrol boats attempted to sail under the new Crimean bridge and traverse the Kerch strait between Crimea and the Russian mainland, allegedly without permission and without the required Russian navigator onboard. Russian ships subsequently rammed one Ukrainian craft before pursuing and opening fire on the vessels, then taking 24 crewmen prisoner. Ukraine claims this is a violation of a 2003 treaty guaranteeing access to the sea of Azov for both parties, and amounts to a Russian blockade of the Ukrainian cities of Berdyansk and Mariupol, both of which are centres for grain and industrial exports. This crisis is more likely spurred by the approaching Ukrainian presidential elections, due in March 2019, however. President Petro Poroshenko trails his main rivals, former Prime Minister Yulia Tymoshenko, and comedian Vladimir Zelensky, in the polls. His best chance for re-election may be to associate himself with the respected institution of the army. The president therefore requested the imposition of 60 days of martial law, which could have curtailed media freedom and even delayed the contest, but parliament rejected this proposal, instead opting for a 30 day period, and only in regions which border Russia. Despite this, the danger of open war remains real. Most major political parties in Ukraine are determined to join NATO, while Russia considers a friendly or non-aligned Ukraine essential to its national security and will not return Crimea in the foreseeable future. Mr Poroshenko risks repeating the experience of Georgia’s Mikhail Saakashvili, whose military adventure in the face of Russian pressure in 2008 failed to provoke his allies to rescue him and alter the regional balance. Notwithstanding enduring western sanctions, and proposed lethal support for Ukraine, the government must be prepared to accept the full consequences of any miscalculations without expecting external military aid.